When we finished we were carrying lots of warm weather gear including the extra layers and gloves we had to pickup on the way as the weather became increasingly colder and wintery. 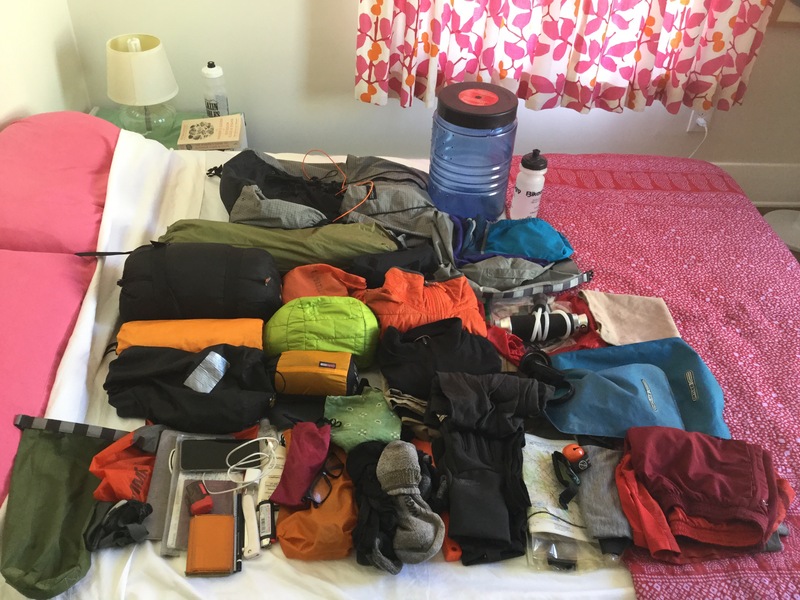 These clothes – the puffa jacket, base layer and long johns – we’d originally posted off the trail as we hit successive heatwaves heading south, only later to have them reposted out to us. This worked well and kept our load lighter for longer. Likewise with the bear canisters which we only needed as we headed into Yosemite and the Sierras.